North Cyprus Direct a UK based online tour operator offering holidays to North Cyprus. 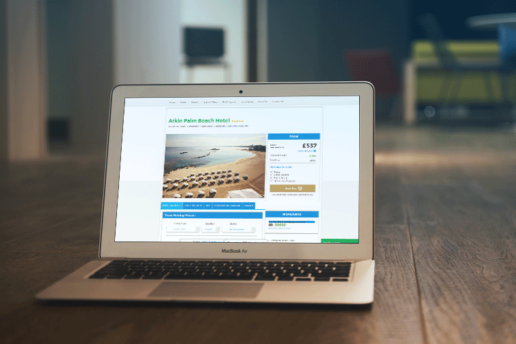 North Cyprus Direct required an online solution to allow site visitors to book their own stock of hotels and transfers along with third party flights such as Easyjet, British Airways and Monarch airlines. The Tekcabin system delivered this, and more, with low start-up fees and no large upfront investment. The automatic offer creator option also allows them to also update offers continuously throughout the website based on user searches, which means that they eliminate the administration normally related to keeping websites up to date. As users search, their offers are equally updated. The extras module also allows northcyprusdirect.com to drive up gross margins through up-selling of extras such as private transfers, tours and feel good upgrades such as champagne and more. For the North Cyprus Direct brand, the important thing was to keep costs low from the outset as it was a relatively new name in travel, The Tekcabin advanced travel technology solutions were ideal as they combine state-of-the art functionality in a robust environment, combined with low fees.